The following five books are some that we really enjoyed and found enriching in different ways. Although they’re not about CranioSacral Therapy, they’re full of themes that tie in with our work in Upledger CST. Particularly when we’re working with SomatoEmotional Release, there can be gems and guidance not only in our sessions, our classes and our core texts but in novels, memoirs and books for all ages. We hope you’ll find at least one here that inspires you…. 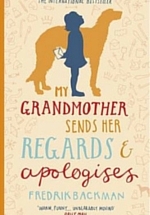 Described as a hilarious and heartbreaking novel, this is also a wise portrait of grief, and of the world from the perspective of an insightful seven year old girl It’s a lovely read, but from a CST perspective it touches on the importance of accepting people for who they are, not stereotyping or making assumptions. Since the goal of therapy, and CST in particular, is to enable us and our clients to become more of who we are, this one has a lot to offer. 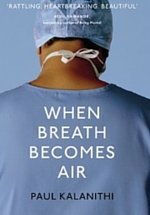 “As a resident, my highest ideal was not saving lives — everyone dies eventually — but guiding a patient or family to an understanding of death or illness.” This book is about what neurosurgeon Paul Kalanathi learned about living, after being diagnosed with terminal lung cancer. Written over the last year of his life, it is about what makes life meaningful, even in the face of death. In our CST sessions we may work with clients with similar diagnoses, though the principles apply to anyone we might wish certain things for: recovery, less pain, a different path. But in order to fully support our clients with their journey, our task is to be as neutral as we can, and to recognise the value of the journey itself, without attachment to outcome. Brene Brown is well known for her TED Talks on Vulnerability and Shame, and her bestseller ‘Daring Greatly: How the Courage to Be Vulnerable Transforms the Way We Live, Love, Parent, and Lead'. 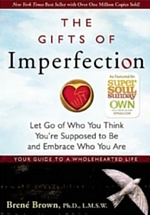 ‘The Gifts of Imperfection’ is one of her earlier works which you may not yet have discovered! Letting go of who you’re supposed to be and embracing who you are is usually a part of our journey as a practitioner, as well as being relevant for our clients. A companion book to accepting our whole selves, and engaging with the world from a place of self worth. If you’ve read ‘Getting To Yes’ as part of the recommended reading for SER1 and are looking for something else to help build your skills in negotiation and dialogue, look no further! 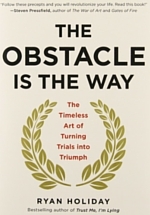 The Obstacle is the Way: The Ancient Art of Turning Adversity to Advantage has sections Including ‘What’s Right Is What Works’, ‘Prepare For None Of It To Work’ and ‘Love Everything That Happens'...you might already see how this aligns with the approach we take in Dialogue in SomatoEmotional release! There’s a lot of grounded and practical advice here for responding to life’s challenges and turning circumstances to your advantage - helpful in dialogue! Life lessons, covering themes of authenticity, identity, love and relationships, loss and fear, power, time, tolerance, patience, surrender, guilt, happiness, play, and creativity. As Elisabeth says, ‘Most of us pass on with a great deal of unfinished business; many of us have at least some. There are so many lessons to learn in life, it’s impossible to master them all in one lifetime. 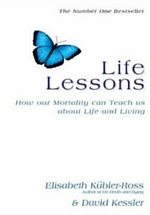 But the more lessons we learn, the more business we finish, and the more fully we live, really live life.’ An important book to have as part of your therapy library!